UNITED NATIONS, Sep 13 2012 (IPS) - Following the revolution that culminated in the ouster of longtime President Zine El Abidine Ben Ali in January 2011, Tunisia embarked on a transitional justice process with the intention of addressing the gross human rights violations of the dictatorship. The new administration established commissions with the purpose of addressing the abuses committed during the popular protests, and to aid them in this endeavour, a Ministry of Transitional Justice and Human Rights was created. The country is also transitioning from a justice system that was fraught with corruption, impunity and lack of autonomy, to a model of judicial integrity. In a post-revolutionary society, this process is not a straightforward one. 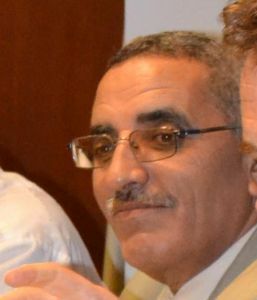 Said Mechichi serves as state secretary of reform in the Ministry of the Interior of Tunisia. A lawyer by profession, he is a member of the Tunisian Association for the Defence of Human Rights and of the National Council of Civil Liberties and is also a founding member and director of the Centre for the Independence of the Judiciary and the Legal Profession, a founding member of the Tunisian Association Against Torture and serves on the lawyers’ committee of the Tunisian branch of Amnesty International. Speaking with IPS correspondent Lawrence Del Gigante, Mechichi discussed the important steps needed to ensure a Culture of Peace in Tunisia, as well as the challenges that the country currently faces. Q: What role does trust play in re-establishing the rule of law? A: The question is more than good. Why was the revolution launched? It’s a protest against the institutions of the regime, and the revolution is launched assuming that there was no longer any credibility for the prevailing institutions. Naturally the revolution shows that there is no link, that there is a severed link between the institutions and the citizenry. The most important action to be taken post-revolution is to restore confidence in the institution of the state; the judiciary, the media, the institutions that are in charge of social and economic affairs, the institutions that represent the sovereignty of the state, the officials who are in charge of administration and public affairs domestically, regionally and nationally, beginning with the lowest employee all the way up to the prime minister and the president. Trust must be built so that we can respond to the basic needs, in the initial phase. In the subsequent phase there must be thinking of reform relating to the laws and employment, jobs and the positions that govern the work of these institutions. A new culture must be propagated widely in all fields, to do away with the culture inherited from the previous regime. Q: What is happening at a grassroots level in Tunisia, from a humanitarian point of view? A: The people who launched the revolution have certain benefits because they have demanded improving their socioeconomic conditions. Since the inception of the revolution until now, there have been no protests or demonstrations that call for employment and improvement of the situation. Naturally, we seek to meet all demands and support the budget that is set aside for development in particular, and to accelerate the study and implementation of development projects in cooperation with fraternal and friendly countries and specialised agencies. Unfortunately, there are many, many demands. Many of them are extremely urgent and they have to do with providing the basic necessities such as water, power, roads and basic equipment for the work of the authorities. We are seeking to provide for these needs because there has been a delay in the support. We are awaiting an improvement in the situation and the provision of resources and the provision of support by donors and by the organisations. Q: What are the barriers to fostering a Culture of Peace in a post-revolutionary country? A: The biggest is the disruption of dialogue between the basic parties and the major players. One of the most important impediments is the failure to achieve, as far as development is concerned, because people will run out of hope, having entertained great hopes, and they may have reactions which are uncalculated and unexpected.